The average cost of memory care in Rathdrum is $3,400 per month. This is lower than the national median of $4,650. Cheaper nearby regions include Coeur D Alene with an average starting cost of $3,400. Caring.com has helped thousands of families find high-quality senior care. To speak with one of our Family Advisors about memory care options and costs in Rathdrum, call (855) 863-8283. Located in Kootenai County, Rathdrum has stunning views of white-capped mountains and lush forests. Seniors make up more than 16 percent of the community and about 25 percent of these seniors are likely to have Alzheimer’s disease or dementia. There are three facilities in the surrounding area to accommodate their needs. 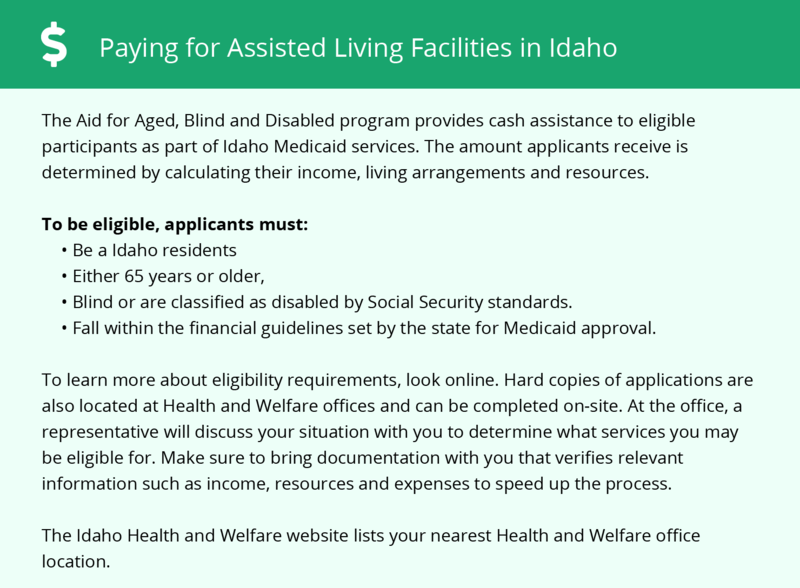 In Rathdrum and all of Idaho, care providers, officially known as residential care or assisted living facilities, are profit or non-profit residences or facilities that provide adequate supervision, personal assistance, meals, and lodging for elderly adults. Memory care providers are also responsible for ensuring the respiratory health of seniors. Winters in Rathdrum can be very cold with moderate amounts of snow. Lows can reach the 20s and 30s in winter, but highs in the summer are warm with temperatures reaching the mid 80s. The cost of living in Rathdrum is 10 percent higher than the rest of the country. Food and healthcare costs, however, are a bit below average. The city has a similar cost of living to Spokane but is slightly less expensive than the nearby cities of Post Falls and Coeur d'Alene. Rathdrum has a higher crime rate than 52.8 percent of U.S. cities, so families of seniors in memory care should ensure proper precautions are taken to keep residents safe inside the facility. Property crimes were most significant during 2016 with 126 thefts and 56 burglaries reported. 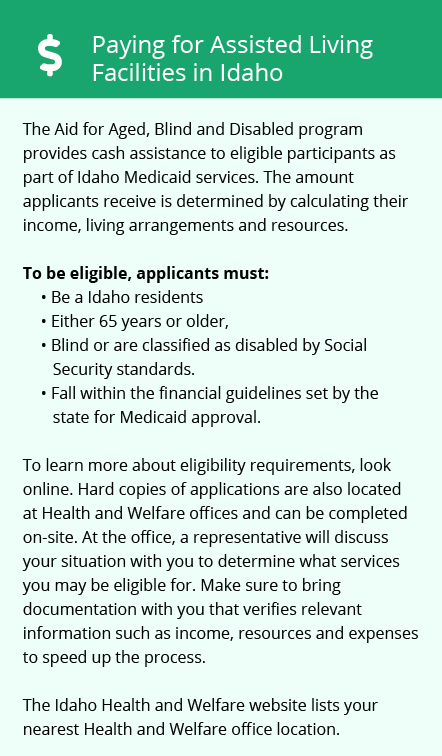 The state of Idaho does not tax social security benefits for seniors. Income from the Railroad Retirement Commission and Canadian Social Security is also exempt from taxes. This leaves more money for memory care and other living expenses. Memory Care costs in Rathdrum start around $3,400 per month on average, while the nationwide average cost of memory care is $4,778 per month. It’s important to note that memory care rates in Rathdrum and the surrounding suburbs can vary widely based on factors such as location, the level of care needed, apartment size and the types of amenities offered at each community. Rathdrum and the surrounding area are home to numerous government agencies and non-profit organizations offering help for seniors searching for or currently residing in an assisted living community. These organizations can also provide assistance in a number of other eldercare services such as geriatric care management, elder law advice, estate planning, finding home care and health and wellness programs. To see a list of free memory care resources in Rathdrum, please visit our Assisted Living in Idaho page. Rathdrum-area assisted living communities must adhere to the comprehensive set of state laws and regulations that all assisted living communities in Idaho are required to follow. Visit our Memory Care in Idaho page for more information about these laws.